Demand for tickets was so high that the singer's own website, as well as some of the ticket sellers, crashed as people tried to log on. She said: " I'm completely overwhelmed by the response to the shows. Thank you so much to everyone. Looking forward to seeing you all later this year." The singer's PR company told fans on Twitter: "Tickets for all 22 @KateBushMusic dates sold out in less than 15 minutes." The London gigs mark the singer's return to the stage 35 years after her one and only tour and to the same venue, the Hammersmith Apollo, where she effectively retired from live performances after just six weeks on the road in 1979. ''It was enormously enjoyable. But physically it was absolutely exhausting,'' she said. ''I still don't give up hope completely that I'll be able to do some live work, but it's certainly not in the picture at the moment because I just don't quite know how that would work with how my life is now." Her reappearances have been sporadic. Her 2005 album Aerial was her first release for 12 years, although in recent years her work rate has become a little more prolific with a collection of reworked songs from earlier albums called The Director's Cut, as well as a themed album of songs about snow. 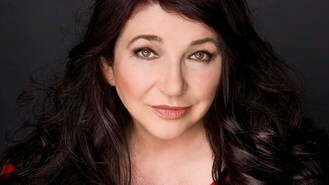 Simon Presswell, managing director of Ticketmaster UK, said: " As expected demand for Kate Bush tickets was phenomenal. At our peak the Ticketmaster website had over 65,000 fans looking for tickets, and our call centre was humming. "After a 35 year wait several thousand lucky fans will be seeing Kate Bush perform live, but despite playing 22 dates demand has significantly exceeded the number of tickets available so regrettably a number of fans will be left disappointed."